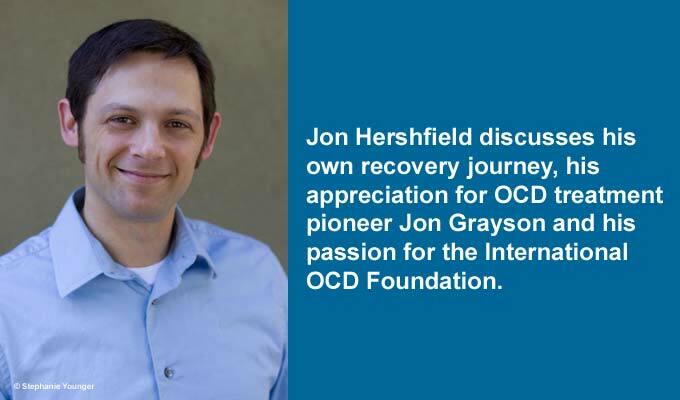 This is part three of a four-part interview series on OCD with specialist Jon Hershfield. Read part one, “Defining OCD,” part two, “More On OCD,” and tune in next week for the fourth installment. Bud Clayman: I [would like] to talk about your life a bit. How long have you been a therapist? I know you started out as an actor. Is that true? Jon Hershfield: Yeah, it’s been a long strange journey indeed. 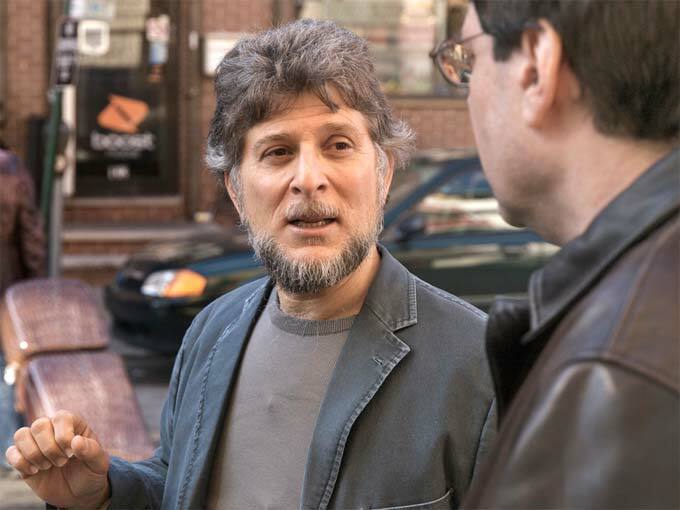 Bud Clayman: How did you segue from acting to being a therapist and what has being a therapist done for your life? And why did you become a therapist? Jon Hershfield: That’s quite a question. So yeah, I started acting professionally as a teenager I guess, when I got my first acting gig. I think my earliest memory of having OCD was probably at about six – nobody knew it was OCD. But looking back on it, there were certain things that would happen. If they were looking at it now, there was no other explanation for that kind of behavior. I had a rough go of it with the OCD when I was a teenager. I got whatever help was available which wasn’t bad but at that time, there wasn’t a heavy focus on mindfulness and cognitive behavioral therapy the way there is now. It was mostly focused on medication and kind of challenging the thoughts in ways that we now understand are probably just mental rituals in and of themselves. Well, then that stopped working and I decided, “Okay, I have to bite the bullet and go back in and try treatment again.” This time, I was able – I was very fortunate to immediately connect with an excellent therapist who specialized in OCD and this is exactly what we worked on. We did cognitive behavioral therapy and we did exposure therapy. The nature of my OCD involved grappling with a lot of intrusive thoughts so I had to learn to stop reassurance seeking and also do a lot of imaginal exposures. You and I didn’t really talk about this before, but imaginal exposures are strategies for confronting thoughts where exposures wouldn’t work very well in real life. That would be writing out narratives in which you’re describing your intrusive thoughts, your fears coming true, and learning to tolerate the discomfort that comes with the uncertainty of that. So that was a big part of the work. As I was doing that, I [was] thinking, “Oh God, I hope this works. This is the one, this therapy is the one thing I haven’t tried, and I have to try something because I can’t live this way anymore.” As I was doing that I started to go online and write to discussion boards, and describe my experience. This was probably the best decision I ever made because not only did it expose me to a world of OCD sufferers who think the way that I was thinking and was able to sort of support me in this process, and I was able to offer them support at the same time, but it also exposed me to some of the great minds in the OCD field like Jonathan Grayson, Jim Claiborn, Michael Jenike, and they would be commenting on some of the things that I would write. At first I’d see their comments and think, “Huh? What? 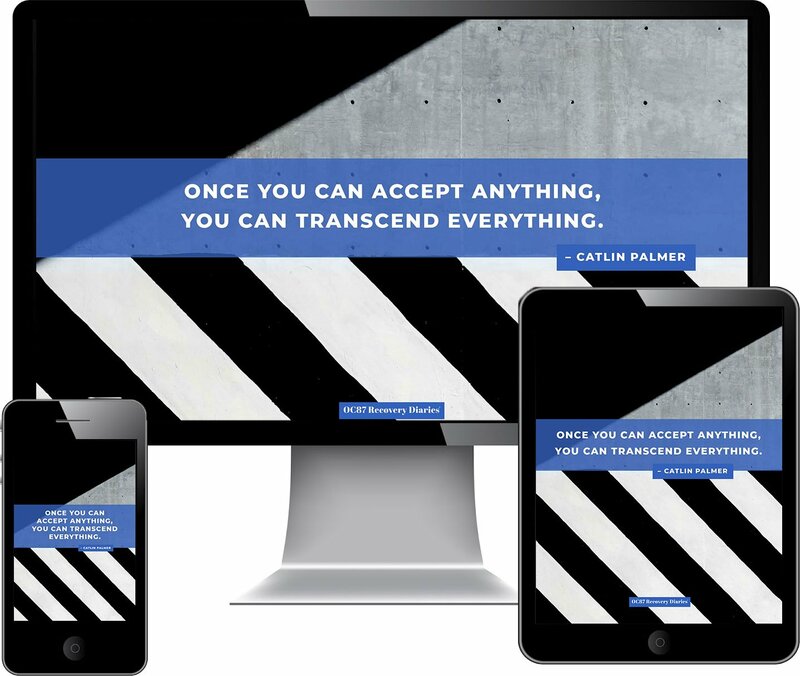 No, it’s not that simple.” As I started to get better I started to realize, “Wait a second, no it kind of is this simple.” Thoughts really are thoughts, not threats. Feelings really are feelings, not facts. If I can combine this exposure and response prevention and this challenging of distorted thinking with this acknowledgement that thoughts and feelings are thoughts and feelings, that they’re just something that’s happening, they’re not something I necessarily have to go to war with, maybe I can get better. Bud Clayman: Did this interfere with the acting or did you just decide that you wanted to become a therapist [as] it got more interesting to you? Bud Clayman: So you really found what you wanted to do in life. Jon Hershfield: There’s no way to overstate how lucky I feel to be able to do this. I moved into private practice earlier this year, and also I started working at UCLA as associate director of their Child OCD Intensive Outpatient Program. This is an amazing program where children with more severe OCD come and get treated for three hours a day four days a week, including family therapy and med management. We’re doing CBT and mindfulness work and to have this even broader spectrum of experience so that it’s not just myself and a client hour by hour by hour, but also this other experience of working in a hospital environment and [a] more intensive environment, and now this book. Honestly, Buddy it just keeps getting better and better. Bud Clayman: It’s great. It’s great. You mentioned Dr. Jonathan Grayson [Ph.D.] and I think he’s affected all our lives. Can you please talk about his work and being a pioneer in the treatment of OCD and how did he influence your life and work if at all. Jon Hershfield: Well, certainly his book, Freedom from Obsessive Compulsive Disorder, helped me at a time when I felt like there was no help and I can’t deny that. I’m actually glad that you brought that up because it ties into the work of the International OCD Foundation. I think the first conference I went to was in 2005. I went as a sufferer and I thought that was a very interesting experience because it was enlightening. It was help, but at the time I was still heavily immersed in my own therapy and my own OCD, and was for lack of a better word, self-centered. I was centered on myself. What do I get out of this? A few years later, when I was in graduate school, I was able to convince my university to give me two college credits for making up a class called “OCD” where basically I just went to the conference and wrote a paper about it. I was amazed that they let me do this, but that’s basically what they did. I went again thinking, “What do I get out of this? This is pretty neat.” Then when I started as an intern at the OCD Center of LA, I thought, “Well I’ve developed this pretty good relationship with Dr. Jenike on the online support board, maybe I’ll send the OCD Foundation a proposal for a panel on OCD and online support,” just on a whim. I asked Dr. Jenike if he wanted to be involved, and he said, “Sure, why not.” Low and behold the IOCDF said, “Sure, let’s do it.” So I found myself suddenly presenting at the International OCD Foundation Annual Conference. Bud Clayman: This was about two years in after you were going in as a sufferer? Jon Hershfield: This was only four years after first going in as a sufferer and one year after going as a grad student. Jon Hershfield: Yeah, and that was a really positive experience. I really started thinking about the amazing work that the International OCD Foundation is doing in just providing and disseminating information, and connecting people to resources. I had this fantastic experience and then one evening that weekend I was standing around in the lobby thinking, “Okay, what do I do now? I’ve been talking to people all day. I’m a little bit tired, I don’t know what to do now.” [Then] I saw this collection of OCD therapists at the door that looked like they were kind of deciding what to do, as well. When I say, “collection of OCD therapists,” I mean Jonathan Grayson, Charley Mansueto, Fred Penzel. These are all people whose articles I’ve read, books I’ve read, and it was one of those moments and I guess it was an exposure moment where I decided, well, I could just do nothing or I could take the risk of looking like a crazy stalker and see if I could tag along. That night we all went out, we all had dinner. I found myself at this pizza place sitting across from Jonathan Grayson and we had a contamination-off. There was one slice of pizza left; the question was who was going to get it. I don’t remember who started it exactly, but one of us basically licked the pizza and put it down and looked at the other one. Bud Clayman: Oh boy. That would drive a lot of people crazy. Jon Hershfield: Then the other one bit the pizza, then I think rubbed it on the bottom of their shoe and put it back. This went on a couple of back and forths before I eventually deferred to the master. Bud Clayman: There you go. 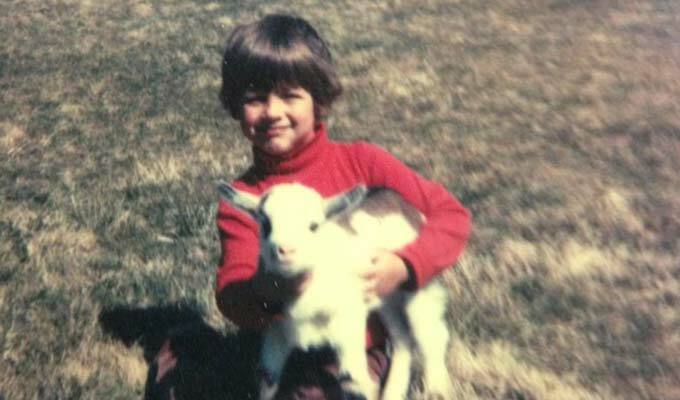 Jon Hershfield: We’ve been good friends ever since. Jon Hershfield: So to have this person speak to me through a book, through this very kind of distant thing and then years later have this person become an actual person in my life, what an amazing experience that’s been for me and I hope, I’ll also be able to provide that experience for somebody else. Bud Clayman: Cool. You had mentioned the International OCD Foundation. Can you just talk a little about the foundation and specifically about the conference they hold each year, and is it important for OCD people to attend that conference? Jon Hershfield: I think that there’s a lot that one can get out of the conference. For me – I’m fond of saying for comic book nerds there’s ComicCon and for OCD nerds like me, there’s the International OCD Foundation conference. It’s panels with all of your super heroes. It’s poster presentations with all the latest research. It’s support groups. It’s training sessions. There’s stuff for therapists so they can learn to be better OCD therapists. There’s a lot of stuff for sufferers, for kids, for people of different cultures. Pretty much, if you have OCD or treat OCD, there should be something you can find at this conference that really speaks to you, that really matters to you. Then, in the evening, they have all these great activities, as well, these great social activities. Bud Clayman: It’s important to go. Jon Hershfield: If you can make it to one, I would really recommend it. I think they’re a great experience. They usually have them in these fancy hotels in these nice cities, and I’m very happy to know that they’re going to be having the next conference in LA, about two blocks from my office. Bud Clayman: I may be going because [I love] LA, so that’ll be next year. That should be great, that should be great. Jon Hershfield: I surely hope to see you there. THE SERIES: Check out Bud Clayman’s other interviews with Jon Hershfield, Defining OCD, “More On OCD” and tune in next week for the fourth installment! OCD - People hear the word disorder and they think weird, sick, handicapped, and depraved. Completely unnecessary and irrelevant stigma.